In my previous post i wrote about a convoluted way of hiding credentials whereever possible when working with Task Sequences. Fortunately, this entire solution became obsolete when Microsoft decided to offer to mask sensitive data in a Task Sequence with a mere checkbox. First in the 1804 preview, then in release with 1806. This time, i’d like to share something that is a little less situational. It’s a Powershell script to create Applications and (almost) everything with it. There are plenty similar scripts around on Technet or so, so you may wonder: what makes this one so different? Honestly, probably not that much. If anything, it would be its flexibility and ease of use as you can basically go through it with just a few mouse clicks. It evolved from simply automating repetitive tasks to a handy tool that I use at pretty much all my customers. Create an Application in an optional specific folder within the ConfigMgr console. Create either a script-based or MSI-based Deployment Type for that Application, including its Detection rule. Create an AD Group with a Prefix based on your naming-convention. Link this Group to an ‘All Apps’ Group, so an admin or device in this group has access to all created apps in one go. 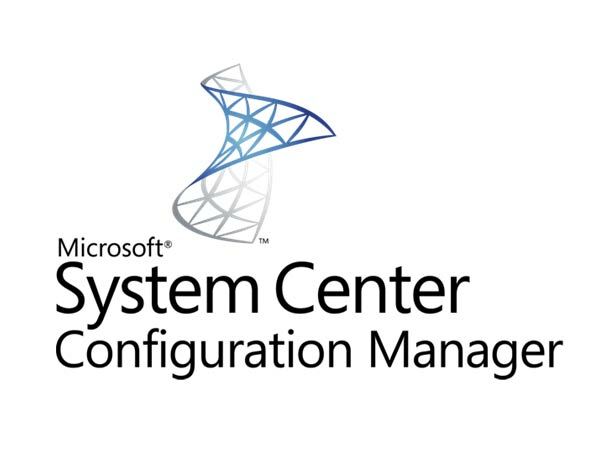 Create either a User or Device Collection in an optional specific folder within the ConfigMgr console. Create a Membership rule for said Collection based on the AD Group created earlier. Once executed (without any parameters), it will load the required modules and prompt you to browse to an installation file. If you select an MSI file and you have an icon file in your source folder, the script will do everything else. If there’s no icon file; it will ask you to select one. Though you can cancel the prompt and ConfigMgr will use the rather ugly default icon. If you select a .cmd or .ps1 file, the script will prompt you for an uninstall file and a detection script file. And again an optional extra prompt for an icon file. It does not create Deployments. When i get around to it i’ll probably add a switch for that too. But since in most cases deployments need to be tested first, so far I’ve always preferred to create these manually. This is needed because the script will fill in several fields such as Manufacturer, Name and Version based on this folder structure. This is then also used to create AD Groups and/or Collection name. you prepare your (script-based) Application properly. In most cases, all you’ll need is an install, uninstall and detection script. For MSI-based installers you have the option to specify arguments or let the script handle everything for you. Ideally, you also have an icon file present that is, at the time of writing, no larger than 250x250px. Most properly built installers will write their application info to this location so that it shows up in Add/Remove Programs in Windows. So its fairly reliable to detect a successful installation. You can make your detection as complex as you want. Just make sure the script ends with an exitcode 0 and non-error string. We only return a True and no False (or any other string), as doing so would be picked up by ConfigMgr as a failure. See this documentation over at Microsoft for valid return values. Note that 32-bit software on a 64-bit system will redirect to HKLM:\SOFTWARE\WOW6432Node\Microsoft\Windows\CurrentVersion\Uninstall’. For ease of use, you may want to check some parameter defaults and edit them to match your environment. Most notably the AppPath and GroupOU parameters. Add an application to the Software Center. - Creates device collections that are populated with devices that would be members of previously mentioned groups. It is critical to follow this folder layout for the script to function correctly. It assumes that certain parts of the path contain certain values and it does so relative to the location of the setup file. If you deviate from the mentioned folder layout, both your application list and Software Center will look...messy. - Have access to create and modify AD objects. - Have the Configuration Manager Powershell Cmdlets installed. - Have the AD Cmdlets installed. the Windows features after installing Windows Remote Server Administrations Tools (RSAT). - An Application called "Promethean ActivInspire 2.10". - A Deployment Type for setup.msi with parameters /QN /NoRestart /L*V "C:\Windows\Promethean ActivInspire 2.10.log". - The Detection method is automatically set using MSI Product code (GUID). - An AD group called 'GG_APP_PROMETHEAN_ACTIVINSPIRE_2.10' which will have a member called GG_APP_ALL. - A Collection called 'Promethean ActivInspire 2.10' with a membership query for AD group 'GG_APP_PROMETHEAN_ACTIVINSPIRE_2.10'. - A Deployment Type which runs install.cmd and uninstall.cmd as for their respective program actions. - Configures a Script-based Detection method based on the Powershell script contents. ConfigMgr will pick up the echo and process the result. - Split standard and verbose output. - Improved performance by limiting imported CmdLets to only those that are needed. - Modified device-collection creation logic to use CollectionID rather than CollectionName as it broke on a rename of the collection. - Moved all hardcoded values near the top of the script for easy modification. - Made script more portable by replacing hardcoded values with parameters. - Automated Deployment Type creation based on Installer file extension. - Reorganised parameters into parametersets and added support for pipeline input. When running the script without specifying anything, it will prompt to select an installer. Based on whether that installer is a MSI or something else (.cmd or .exe), it will then ask to select uninstall and detection scripts. - Rewrote Help and integrated most of it in the parameters. - Removed AppPath variable for Content Source. You now only need to specify a setup file. The script will derive the path from there. will make ConfigMgr use its default placeholder icon. - Improved error and warning handling. - Added a switch parameter -AppOnly. When using this switch, no AD Groups or Collections are created, just the Application itself (and its Deployment Type). - Added a string parameter -Target. It accepts either 'User' or 'Device' as argument and determines what type of Collection should be created. SamAccountName as that can be up to 256 characters. This prevents generating errors on long Group names. assumes there are no further parameters in use. - Added -AppPath parameter again to allow just clicking through the whole thing when no arguments are given. HelpMessage="A description of the App as you want it to appear to users in Software Center." write-verbose "No Installer specified. Prompting user to select one." $OpenFileDialog.Title = "Select a setup file or installation script." $OpenFileDialog.Filter = "Setup file (*.exe, *.msi, *.cmd, *.ps1)|*.exe;*.bat;*.msi;*.cmd;*.ps1|All Files (*.*)|*. *"
# Trim Groups' Distinguished Name to max length. The full name (up to 256 characters) is still used for the Groups' SamAccountName. $TrimmedGroupName = $GroupProd[0..63] -join ""
Write-Verbose "Script installer selected. Uninstall script required. Prompting user to select one." $OpenFileDialog.Title = "Select an Uninstall script." $OpenFileDialog.Filter = "Uninstall script (*.exe, *.bat, *.cmd, *.ps1)|*.exe;*.bat;*.cmd;*.ps1|All Files (*.*)|*. *"
write-warning "No Installation file selected, No Deployment Type will be added for [$AppName]." Write-Verbose "Script installer selected. Detection script required. Prompting user to select one." $OpenFileDialog.Title = "Select a Detection script." $OpenFileDialog.Filter = "Detection script (*.ps1)|*.ps1|All Files (*.*)|*. *"
write-warning "No Detection file selected, No Deployment Type will be added for [$AppName]. A Detection Clause is required for Script-based Deployment Types." write-verbose "Searching for a suitable icon file in [$AppPath]..."
write-verbose "No icon found. Prompting user to select one." $OpenFileDialog.Title = "Select an icon file for use in the Software Center or cancel to use the default placeholder." $OpenFileDialog.Filter = "Icon Files (*.ico)|*.ico|All Files (*.*)|*. *"
write-output "Icon selection cancelled. Default icon will be used." write-output "Successfully set location to [$($SiteCode.Name):\]"
write-error "Failed to set location to CM drive because [$($_.Exception.Message)]. This is a terminating error." write-error "Failed to create [$AppName] at [$ApplicationFolderPath] because [$($_.Exception.Message)]"
write-output "Successfully moved [$AppName] to [$ApplicationFolderPath]"
write-error "Failed to move Application [$AppName] to [$ApplicationFolderPath] because [$($_.Exception.Message)]"
write-output "Successfully added [$AppIconPath] to [$AppName]"
write-error "Failed to [$AppIconPath] to [$AppName] because [$($_.Exception.Message)]"
write-output "Successfully created Category [$_]"
write-error "Failed to create Category [$_] because [$($_.Exception.Message)]"
write-output "Successfully added [$AppName] to Category [$AppCategory]"
write-error "Failed to add [$AppCategory] to [$AppName] because [$($_.Exception.Message)]"
$InstallCmd = "msiexec.exe /i `"$InstallFile`" $Arguments"
Write-output "Attempting to read properties of [$InstallFile]..."
write-error "Failed to add Deployment Type for [$AppName] because [$($_.Exception.Message)]." write-output "Successfully created [$GroupProd] in [$GroupOU]"
write-error "Failed to create $GroupProd because [$($_.Exception.Message)]"
write-output "Successfully added [$GroupProd] to [$AllAppsGroup]"
write-error "Failed to add [$GroupProd] to [$AllAppsGroup] because [$($_.Exception.Message)]"
$LimitingCollectionID = 'SMS00001' # Default ID for the 'All Systems' collection. write-output "Successfully created device collection for [$AppName]"
write-error "Failed to create Device Collection for [$AppName] with LimitingCollection [$LimitingCollectionID] because [$($_.Exception.Message)]"
write-output "Successfully moved Device collection for [$AppName] to [$DeviceCollectionFolderPath]"
write-warning "Failed to move Device collection [$AppName] to [$DeviceCollectionFolderPath] because [$($_.Exception.Message)]"
$QueryEx = "select SMS_R_SYSTEM.ResourceID,SMS_R_SYSTEM.ResourceType,SMS_R_SYSTEM.Name,SMS_R_SYSTEM.SMSUniqueIdentifier,SMS_R_SYSTEM.ResourceDomainORWorkgroup,SMS_R_SYSTEM.Client from SMS_R_System where SMS_R_System.SecurityGroupName = `"$NetBIOSName\\$GroupProd`""
write-output "Successfully added membership query to [$AppName]"
write-error "Failed to set membership query [$QueryEx] on collection [$AppName] because [$($_.Exception.Message)]"
$LimitingCollectionID = 'SMS00002' # Default ID for the 'All Users' collection. write-output "Successfully created User collection for [$AppName]"
write-error "Failed to create User Collection for [$AppName] with LimitingCollection [$LimitingCollectionID] because [$($_.Exception.Message)]"
write-output "Successfully moved User collection for [$AppName] to [$UserCollectionFolderPath]"
write-warning "Failed to move User collection [$AppName] to [$UserCollectionFolderPath] because [$($_.Exception.Message)]"
$QueryEx = "select * from SMS_R_User where SMS_R_User.UserGroupName = `"$NetBIOSName\\$GroupProd`""
If you have any questions or comments, i’d be happy to hear them. This is a personal weblog. The opinions expressed here represent my own and not those of my employer. In addition, my thoughts and opinions change from time to time…I consider this a necessary consequence of having an open mind. This weblog is intended to provide a semi-permanent point in time snapshot and manifestation of the various memes running around my brain, and as such any thoughts and opinions expressed within out-of-date posts may not the same, nor even similar, to those I may hold today.